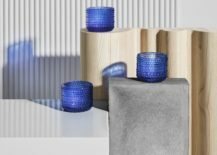 In 2017, Finland celebrates 100 years of independence. 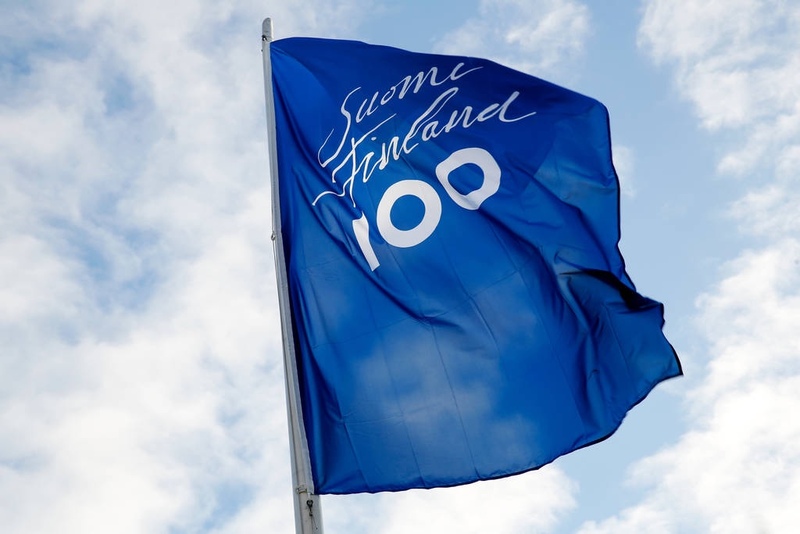 Finland 100 flag. 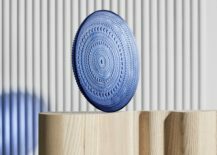 Photo by Leena Koskela via Suomi Finland 100. 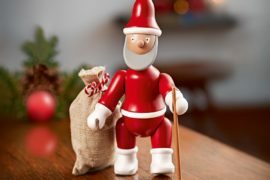 Finland achieved independence on 6th December 1917, breaking away from Russia (between 1809 and 1917, Finland was an autonomous part of the Russian Empire; prior to this, the country was ruled by Sweden). 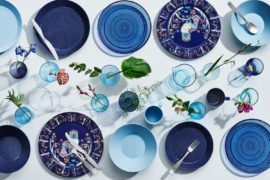 In Finland, blue is very much the national colour of this northern country: found in its blue skies, countless blue lakes, the Finnish flag, butterflies and blueberries. 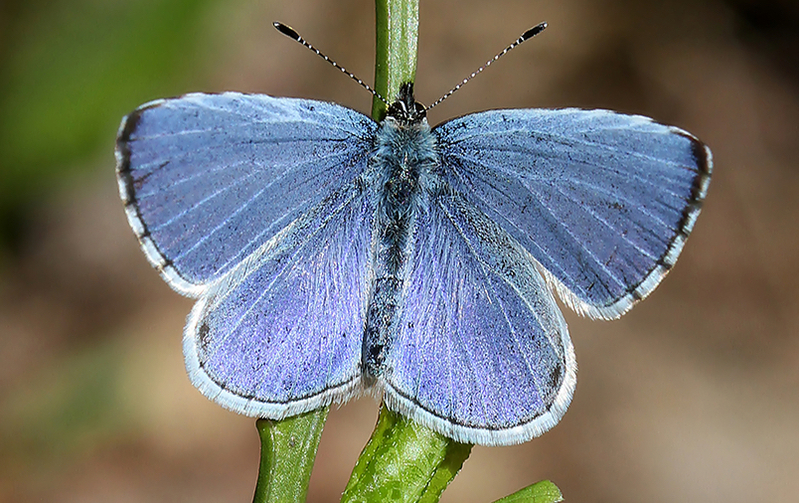 Love is like a butterfly, and Finland is in love with the ‘Holly Blue’. 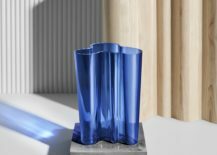 To mark Finland’s centenary of independence, the Holly Blue butterfly (celastrina argiolus) was voted the national butterfly of Finland. 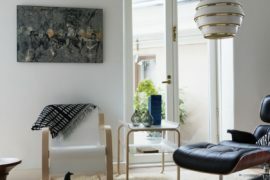 Photo by Marianne Niemelä via Suomi Finland 100. 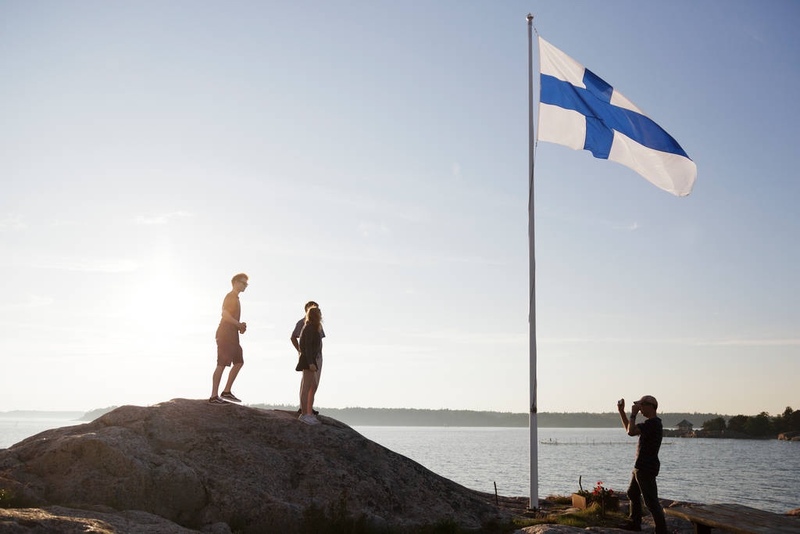 Midsummer Day (Finnish Flag Day) is an official occasion on which the Finnish Flag is flown. 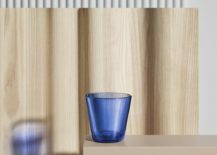 Photo by Suvi-Tuuli Kankaanpää via Suomi Finland 100. 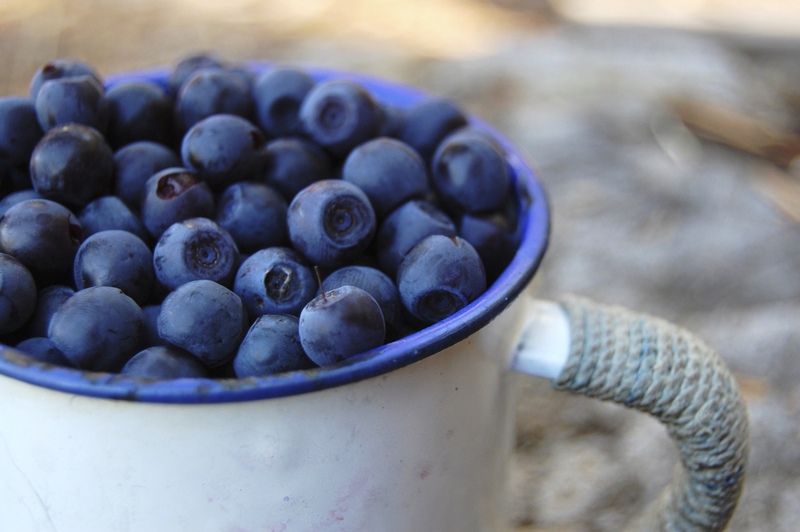 Scrumptious Finnish blueberries. 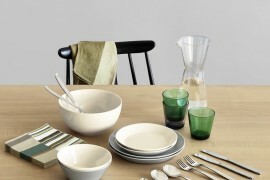 Photo by Vastavalo via Visit Finland. 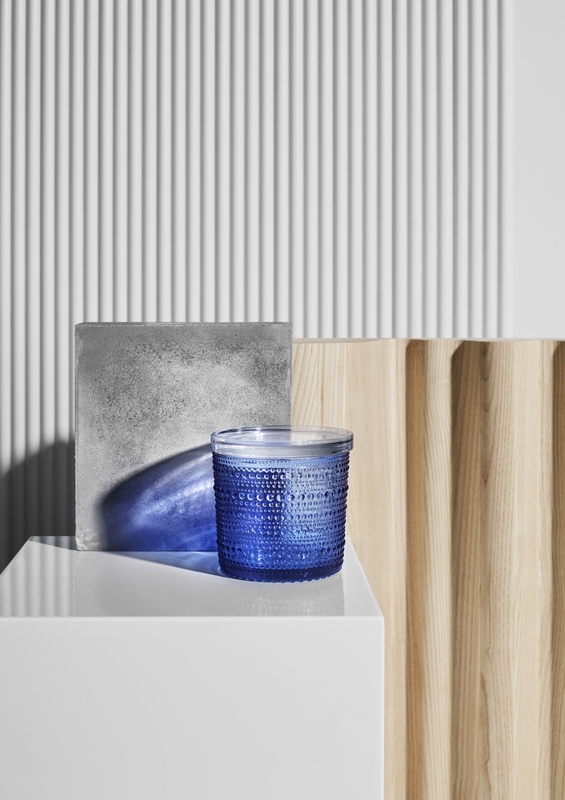 To commemorate Finland’s centenary, celebrated Finnish heritage brand Iittala has selected a colour from its extensive glass colour library: the ultramarine blue. 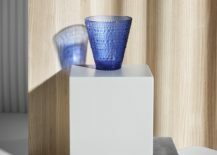 Serene and calming, blue is a colour of great depth. 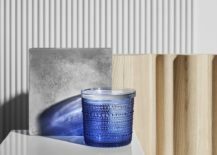 Iittala’s vibrant ultramarine is a brilliant blue hue, made with a special glass recipe in Iittala’s glass factory in Finland. 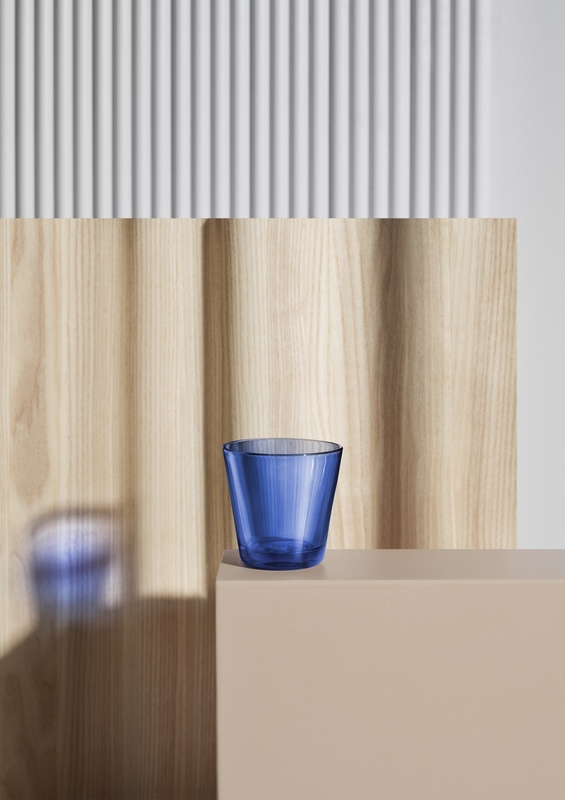 For Iittala, the ultramarine blue colour shows an appreciation of the warmth of the Finnish national character. 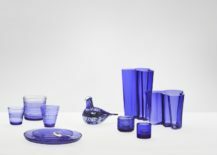 Iittala’s ultramarine blue collection (L to R): Kartio tumbler 21 cl; Kastehelmi jar 116 x 114 cm; Kastehelmi tumbler 30 cl; Kastehelmi plates 170 mm and 248 mm; Finland 100 Dove; Kastehelmi votive 64 mm; Aalto vase 251 mm; Kivi votive 60 mm; Aalto vase 160 mm. 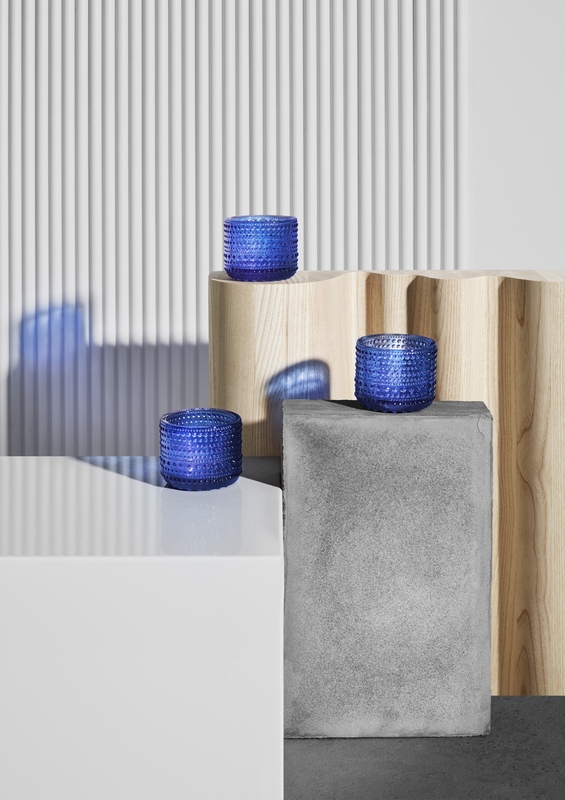 Iittala’s collection of ultramarine blue products are crafted by its skilled glass-blowers. 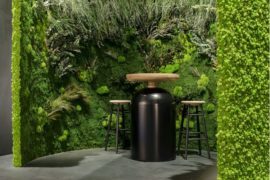 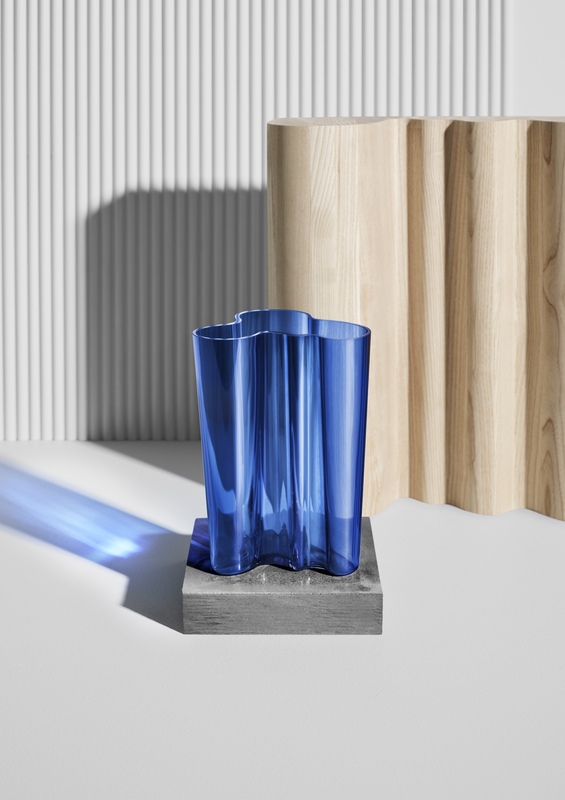 Heikki Orvola’s Kivi votive, Alvar Aalto’s vases and Kaj Franck’s Kartio tumbler, have each been made in the ultramarine blue colour for a number of years. 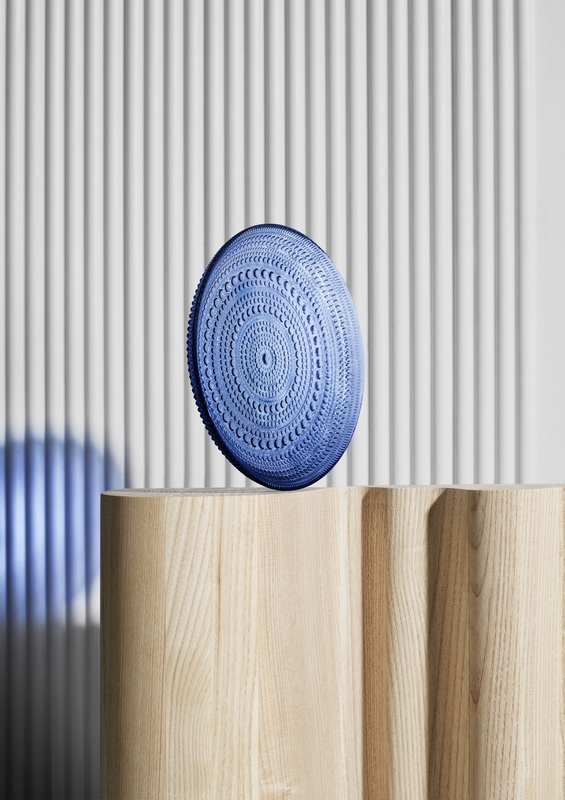 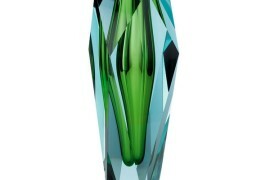 Iittala has now revived this colour across Oiva Toikka’s Kastehelmi range. 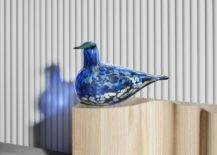 Also, the brand has introduced the mouth-blown ultramarine blue ‘Finland 100 Dove’ by Oiva Toikka, to mark Finland’s centenary. 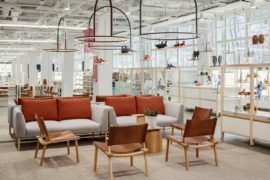 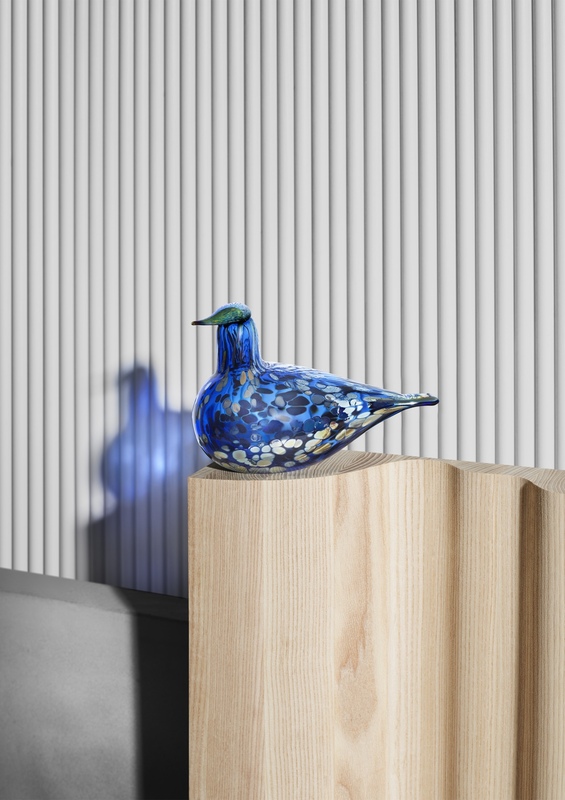 Only 2,017 Finland 100 Doves will be produced, and the Aalto vases (160 mm and 251 mm) will be engraved with a reference to the centenary. 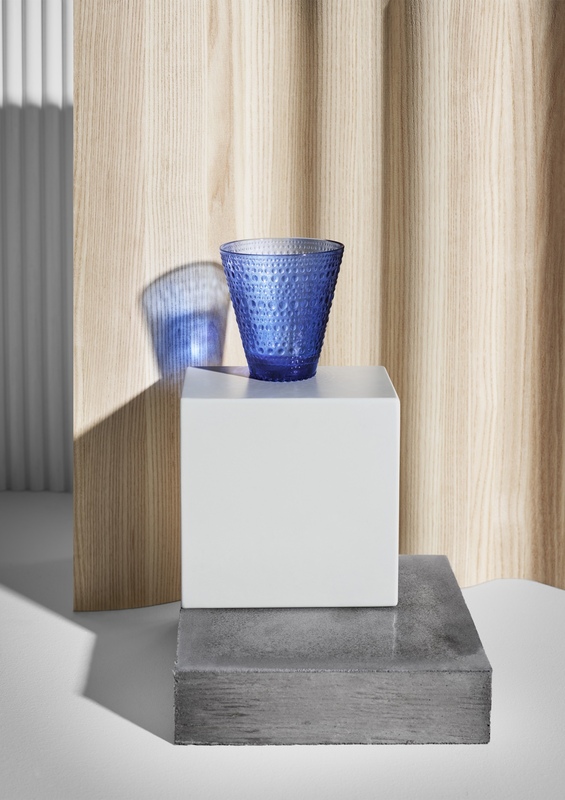 All Iittala ultramarine blue product photos © Fiskars Finland.